This painting is illustrated in a chapter on Skeele in Maurine St. Gaudens book, Emerging from the shadows: a survey of woman artists working in California 1860-1960. 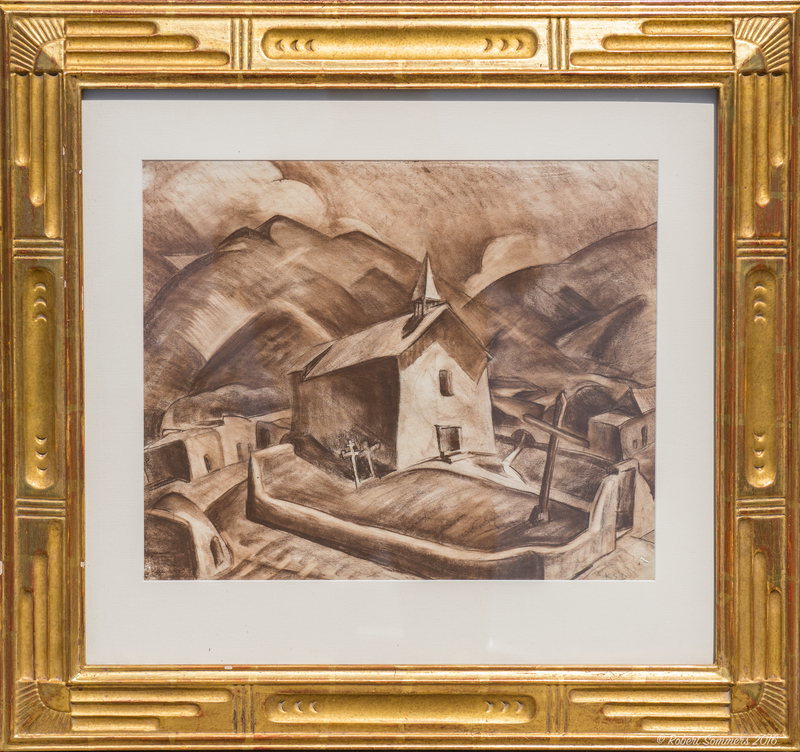 A painter and muralist, Anna Katharine Skeele was born in Wellington, OH on July 12, 1896. She began her art studies while at Olivet (Ml) College. After moving to southern California in 1912, she settled in Monrovia and continued at Pomona College. During the 1920s she further studied at the California School of Fine Arts, with Armin Hansen in Monterey, Art Students League of New York City under Charles Hawthorne and Frederic Bridgman at the Académie de la Grande Chaumière and with André Lhote in Paris, and at the Royal Academy of Arts in Florence. She was an art teacher at Monrovia High School for many years and summers were often spent among the Native Americans of Taos. In 1946 she wed artist Frode Dann, and in 1951 the Danns established the Pasadena School of Fine Arts. Mrs. Dann died in Pasadena on June 28, 1963. San Francisco Art Association 1924, 1929; Nicholson Gallery (Pasadena), 1927, 1928 (solos); Little Studio Gallery (Monrovia), 1930; Calif. State Fair, 1930 (2nd prize); San Diego FA Society, 1930, 1933 (prizes); Laguna Beach Art Association; LA Co. Fair (Pomona), 1930 (award); USC, 1931, 1933 (solos); Santa Cruz Art League, 1934; SFMA, 1935; Calif. WC Society, 1935-50; Oakland Art Gallery, 1939; Golden Gate International Exposition, 1939; CPLH, 1946; Madonna Festival (LA), 1952; Occidental College, 1962; Pasadena Museum, 1964 (memorial). San Diego Museum; Long Beach Museum; Orange Co. (CA) Museum; LACMA; Torrance (CA) High School (mural); Hawthorne (CA) High School Library (mural). SCA; KOV; WWAA 1936-62; DR; Pasadena Star News, 7-1-1963 (obit).